I am a black man. In 2011, during my last semester at the Law School, University police detained, harassed, and humiliated me without reason or justification. At the urging of a professor and classmates, I published a column in the Law School’s newspaper describing the experience, hoping that my article would help my classmates understand that life is different for black people—even in our beloved Charlottesville. A few weeks into the campus police department’s purported investigation of their own officers’ misconduct, an FBI agent telephoned me from the Law School parking lot, led me into a small interview room and, flanked by two University police lieutenants, pressured me into recanting my allegations. The University quickly announced my recantation, purposefully omitting the fact that the FBI had been involved. Within days, while local and national media outlets reported my apparently-fabricated race-baiting, multiple members of the University community filed Honor charges against me. On a larger scale, black people are also failed by the U.S Justice System. We are approached by police, stopped, searched, questioned, physically harmed, killed, arrested, convicted, and sentenced at rates significantly higher than white people, even correcting for socioeconomic status, previous criminal history, and other relevant variables. These racially-disproportionate outcomes are products of governmental policy, law, and jurisprudence, dating back to the country’s founding and persisting today. There is no reason to believe the Honor System is immune to these powerful societal forces. From 2012-2017, approximately 73 percent of Honor reports were made by University professors and teaching assistants. Minority students are overrepresented in these reports, relative to their percentage of the UVA student body. During that time period, white students comprised 58% of the student population, yet constituted approximately only 30% of reports. Black students comprised 6% of the student population but received approximately 9% of reports. Asian/Asian-American students comprised only 12% but received approximately 27% of reports. International students comprised only 10% but received approximately 28% of reports. These statistics have fluctuated over the years, at times evidencing an even greater disparity. For example, between 1987 and 2000, one-third of dismissed students were black despite black students only forming approximately 10% of the student population during the same period. Recitation of these statistics is not to imply that minority and international students are being wrongly accused. But unless one genuinely maintains the racist belief that minority and international students lie, cheat, and steal with 3-5 times more frequency than white or American students, then one is left with two explanations for the disparity. Minority students are monitored more closely and reported more frequently (known within Honor as “spotlighting”) and the violations by white American students are being overlooked, the reporting standards applied to them elevated (known within Honor as “dimming”). Spotlighting and dimming are likely byproducts of subconscious implicit bias. The effects of these phenomena continue to cause serious harm and, statistically, University faculty are the primary culprits. The University has not adequately addressed reporting disparities nor do Honor procedures account for the myriad ways in which race informs the trial process—particularly for accused minorities. I knew I was not guilty of the charges that had been brought against me, but I also knew, based on my lived experience, that the fundamental principles of due process and presumed innocence would not automatically ensure a fair process, particularly with a (statistically) white student jury examining a case involving the nuanced interactions between black men and law enforcement. It was incumbent upon me, the accused, to ensure that the jury and committee were made aware of those important aspects of my case. I began by submitting a formal request to the Honor Committee that the jury deciding my case not be all-white. The request was granted, but it should not have even been necessary. Meaningful examination of interactions between police and black men requires a primer on the historical tension between those two groups as well as between black people and the U.S. Justice System, generally. Thankfully, Professor Kim Forde-Mazrui, Director of the Center for the Study of Race and Law and an expert on racial justice, agreed, without hesitation, to provide that primer, as both a subject matter expert and fact witness in my Honor trial. During my day-long trial, the student panel struggled to understand how their biases may have been influencing their evaluation of my case. The prosecution made arguments and the jury asked questions which clearly indicated a lack of thoughtful perspective on race. Questions like, “why didn’t you just tell the police to leave you alone?” and “why would the police have stopped you, if you weren’t doing anything wrong?” made it abundantly clear that a racial education was in order. To say that Professor Forde-Mazrui’s contributions were vital is an understatement. I was fully exonerated of the Honor charges levied against me. But I might not have been without making certain that all those involved in the proceedings confronted their own racial biases as well as the historic racial tensions that persist in America’s institutional adjudicative processes. Unless the Honor System implements candid, detailed, and comprehensive reforms to ensure that those initiating charges and those implementing the adjudicative process are intensely aware of the role their own biases might play in obstructing Honor’s truth-seeking mission, the Community of Trust we cherish will never be equitable. The Honor System is one of UVA’s most distinctive characteristics, a tradition that encourages and is indeed vital to cultivating that Community of Trust. Despite the negative encounters I experienced during my time in Charlottesville, I developed and maintain a deep fondness and appreciation for UVA. It is, in part, because of that fondness that I am willing to share publicly the negative encounters I experienced there. And it is because of that appreciation and respect that I propose the related initiatives, which I am confident will ensure a more honorable University of Virginia—one of which we can all be even more proud. The Honor Committee must openly acknowledge the influence of race, generally, on the Honor System, as it relates to both unconscious bias and overt animus. The Honor Committee must account for racial biases held by those who bring Honor charges and by those tasked with implementing the adjudicative process in order to counteract the spotlighting and dimming currently taking place. The Honor Committee must continue to release previous and contemporaneous race-related statistics. The Honor Committee must ensure that every University professor attends trainings that relate directly to and articulate plainly their individual role in initiating Honor charges against minority and international students at higher rates than their white and American counterparts. While students run the Honor System, they likely lack the authority necessary to affect culture change among faculty. Thus, the need for partnership with University leadership like the President’s Office and the Faculty Senate is vital. The Honor Committee must ensure that all juries are proportionately heterogeneous with respect to race and citizenship status, particularly when the accused is a racial minority and/or the subject matter in question implicates race and/or racism. The Honor Committee must incorporate a concise but frank and detailed racial justice component into the orientation given to all University students and articulate how the U.S. Justice System’s racial disparities are mirrored by institutional adjudicative systems like the Honor System. The Honor Committee must develop an advanced and more detailed racial justice education session, highlighting personal racial bias, required of all those who participate in Honor proceedings. Mr. Perkins is an activist, speaker, and writer with a focus on institutional racial inequity. He earned his BA in Political Science and English from Temple University in 2008 and his JD from the School of Law in 2011. After law school, Mr. Perkins practiced at a Philadelphia law firm, where he advised and represented a wide range of private companies and institutions of higher education. 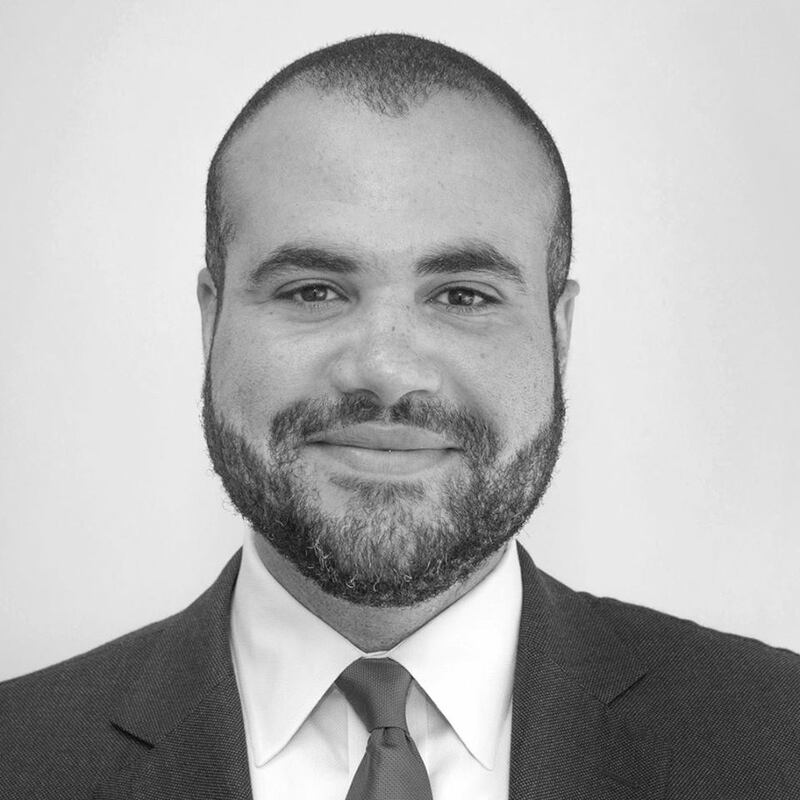 He later transitioned to the Office of the General Counsel at Harvard University and, last year, returned home to Philadelphia where he focuses his anti-racism efforts primarily on allyship and the effects of individual and institutional bias. University of Virginia Task Force on Afro-American Affairs. (1987). An audacious faith: Report of the task force on afro-american affairs. University of Virginia Honor Committee (2019). Bicentennial Report. The preceding personal testimonial and recommendations were generously provided by the author to the Honor Committee for inclusion in the Bicentennial Report. The views expressed within this testimonial do not necessarily reflect the views of the Honor Committee or the University of Virginia. The greatest gift we can receive is the story of another - and the Honor Committee thanks the author for this gift.